So, having won the 2009 F1 championship with a final-race win at Abu Dhabi, after a short break it was time to return to action – to defend my title. The game doesn’t generate any new tracks for 2010, nor does it reorder the races, so it was back to Australia for the 2010 race! 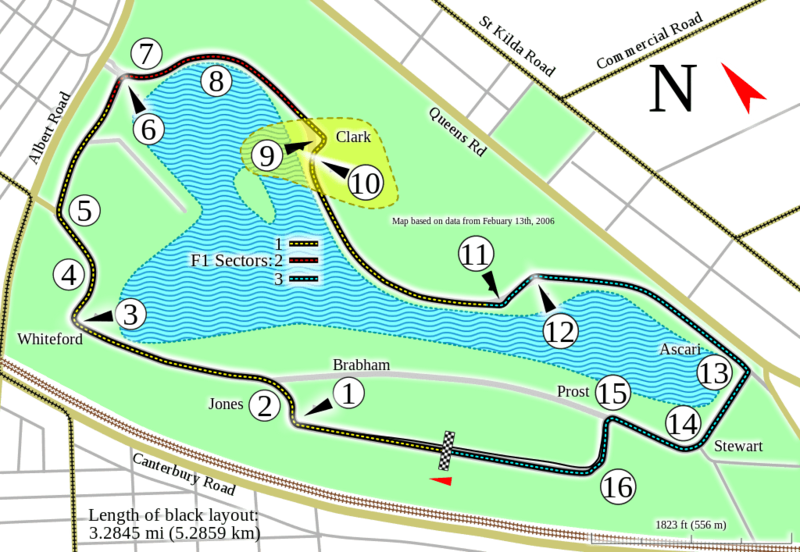 The circuit, at Melbourne, was unchanged, and as such retained the brilliant fast elements that make the track a driver and fan favourite. A season’s worth of experience allowed me to attack the track far more than I had the first time around. More aggression and less caution meant I handled previously tricky corners like the tight turn 3 and the equally tight turn 9 with greater confidence, braking a touch later and turning in a touch earlier. My entrance (and exit) into the pretty quick turn 1 was also smoother. I continued to approach the turn 13-14 sequence quite fast, before squeezing the brakes hard for turn 15. Before I continue, I had remained with BMW Sauber (just wanted to point that out!). Confession time. The first time I ran this race I restarted it after a collision with a backmarker who, for whatever reason, did not clear the racing line, leading me to hit the back of him, lose my front wheel and suffer a drive-through penalty. I was not amused, and put this down to an AI glitch. The cars are supposed to move off the racing line, rather than across it, right into my path! In the practice sessions I was once again fastest, and this carried on into qualifying, where I would get a 13th career pole. At the very start of the race Jenson Button would pull ahead of me, but by the third corner I was back ahead, where I would stay until lap 8. On lap 8 my rear-left tyre developed a puncture. Having already restarted the race once, I was reluctant to do so again, and so took a chance on pitting to see if the AI would in fact recognise the problem and fix it. For a change, my tyres were indeed changed – I lost the lead (and in fact slipped down to 10th), and would have to complete 20 laps on soft tyres, but I managed to make the tyres last as I gradually fought my way back up the field (aided by some of the guys in front pitting). On lap 28 I pitted again and would again lose the lead, but I would only drop to 3rd, and that would become 2nd quite quickly owing to more pit stops. I would catch and pass Button quite easily (he got bogged down in traffic), and by the time of my final pit stop I was able to retain the lead, and I would maintain my lead. My first win of the season and ninth of my career was by some 16 seconds, an ultimately comfortable win despite the puncture, and sets me up nicely for the rest of the season. I did not fare too well in Malaysia last time, but this time, hopefully, will be different!